Zc690. The U.S. 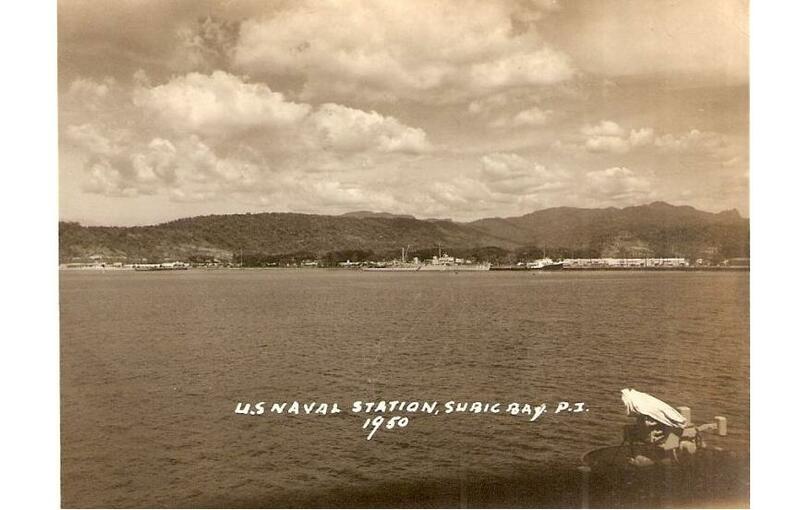 Naval Station Subic Bay in 1950, I certainly recognize the mountains behind Olongapo. Left are Kalaklan Ridge and a little right of center we are looking into the Gordon Heights Valley. This picture was provided by Bert Caloud in 2015. These are Subic Bay historical pictures I have received from my USMC friend Bert Caloud, thank you Bert and the USMC! Zc691. 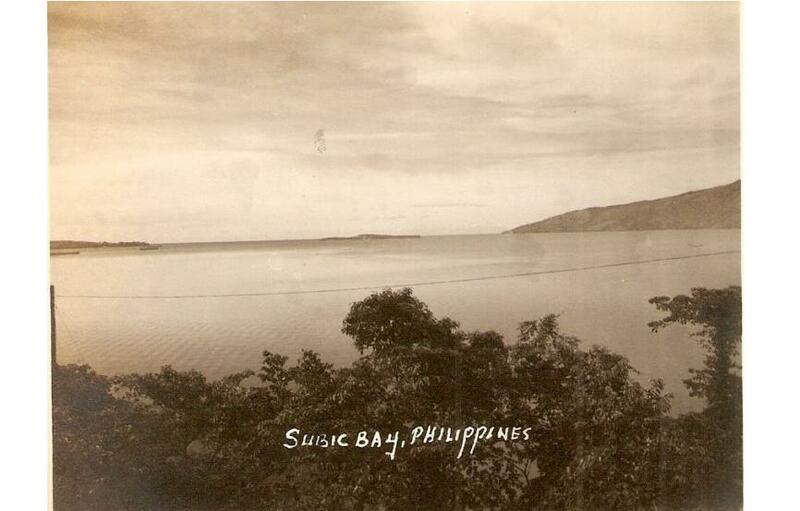 This is a full view of Subic Bay in 1950; in the middle of the picture is Grande Island the former U.S. Army Coastal Defense Fort Wint. This picture was provided by Bert Caloud in 2015. Zc692. 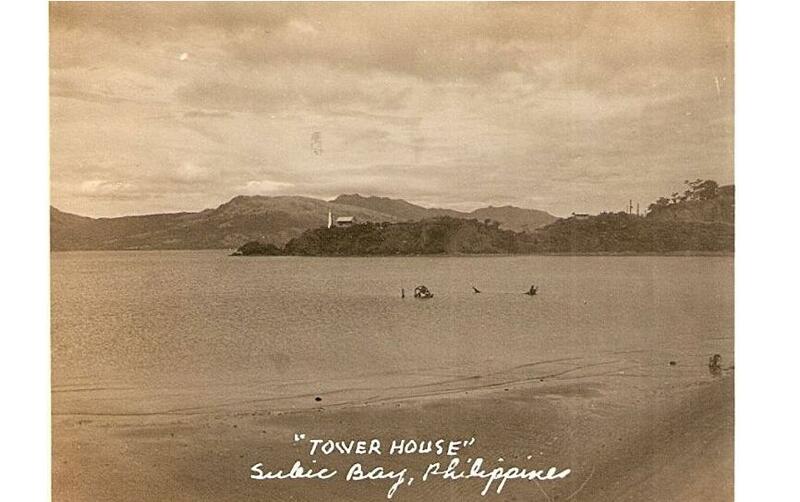 This is certainly Kalaklan Point with a light house in 1950. I recognize Mt. Redondo behind the point and it is on the other side of the bay Subic Bay. This picture was provided by Bert Caloud in 2015. Zc693. 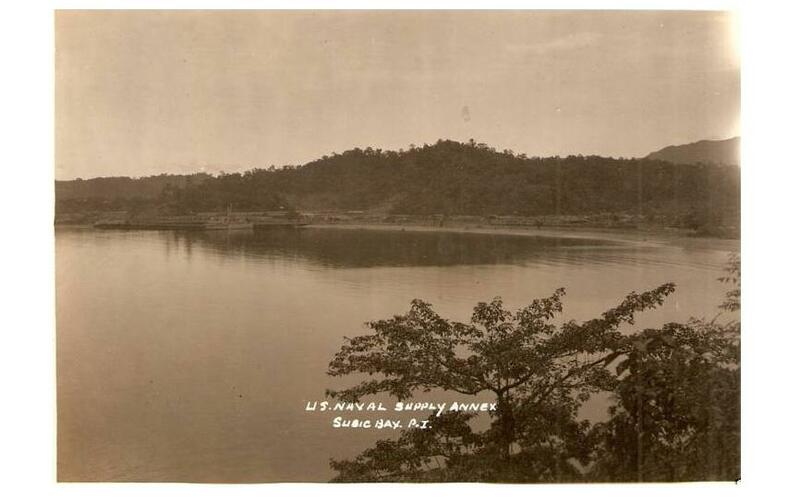 This is the Naval Station Subic Bay in 1950 from Kalaklan Point. This picture is actually a sad one to me. We can recognize the future Dewey Ave. Before WWII on both sides of that street was the bustling town of Olongapo, praised by many as the best town in the Philippines. It has been moved across the drainage canal and had to be reestablished as a town. I guess the Navy had plans for all this real estate. This picture was provided by Bert Caloud in 2015. Zc694. 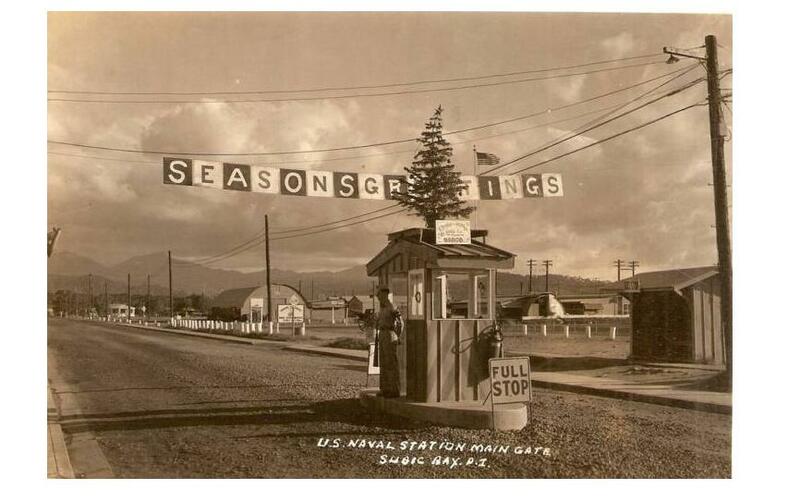 This is the main gate of the Naval Station Subic Bay. I am relative sure this must be Manila Ave. still the same as today but I am not sure which direction we are looking at. This picture was provided by Bert Caloud in 2015. Zc695. 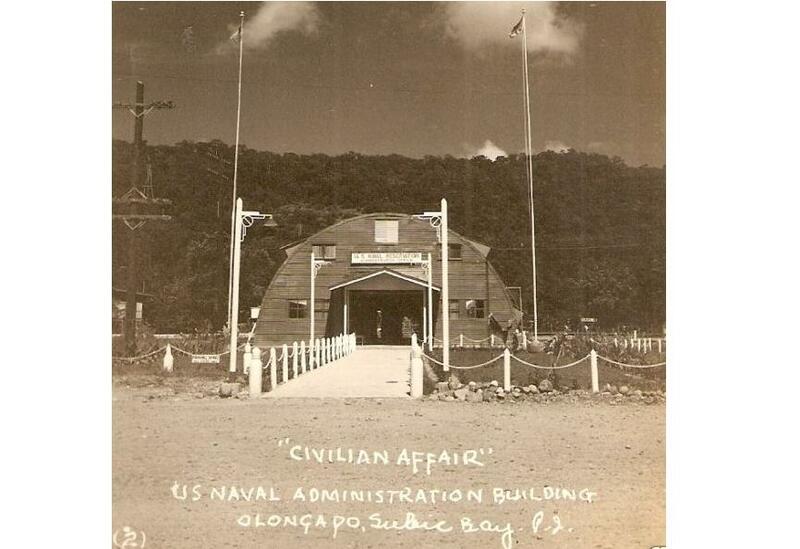 This is the Naval Station Subic Bay Administration Building for Civilian Affairs in 1950. We can assume the hill in back must the Kalaklan Ridge. This picture was provided by Bert Caloud in 2015. Zc966. 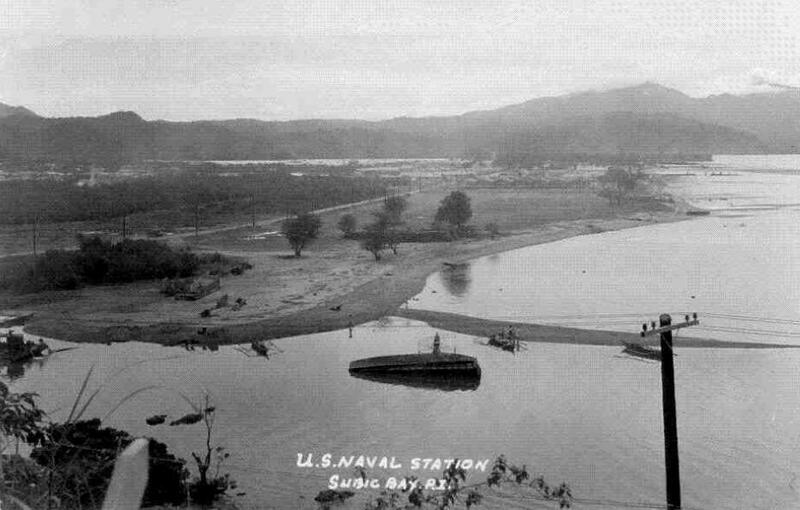 This is the Naval Station Subic Bay Supply Annex in 1950; it is at the Maquinaya Valley Beach. This is where the barangay (we still prefer to say Barrio) Barretto has been established and it is the place I call home now. We know it was established in 1945 here and I assume that in the early 1950s the supply annex was moved to the Naval Station Subic Bay proper. This picture was provided by Bert Caloud in 2015.